Spring might be well known as a time where people have a big clean out, but it also provides an excellent excuse to give your home a fresh makeover too! Whether you live in a rented flat, student digs, or own your own home, there are always ways to give your space a luxurious feel. 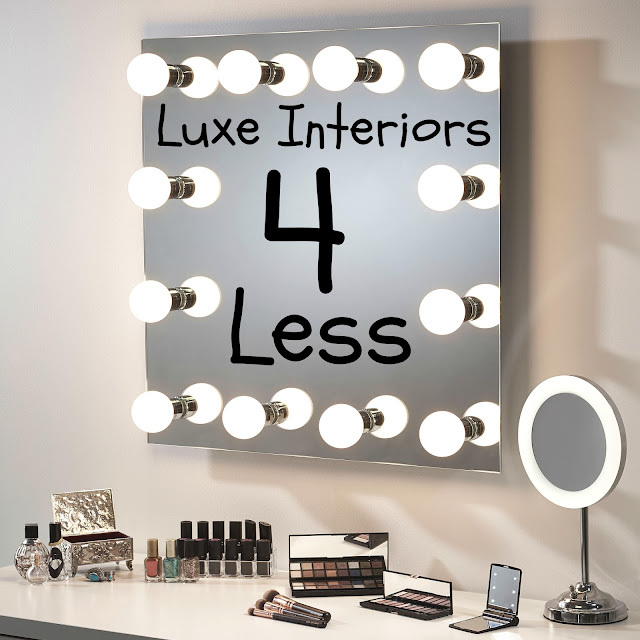 Fully redecorating isn’t always an option for everyone, so if your home interiors are looking a little tired and dated, here are three top tips on how to achieve a brand new look for less! If you’ve been browsing blogs, Pinterest, and catalogues for some interior inspiration then you’ve probably seen some furniture or a look you’ve fallen in love with. With this in mind, it’s easy to buy a piece of furniture from the first place you see it. However, it’s often best for your wallet to shop around before you buy. Scour discount sites or eBay, you may find the same item for less! Sometimes furniture shops have a clearance or ex-display stock so it’s worth asking. Local Facebook selling pages can also have some really great deals if you're prepared to sift through the rubbish! On a really tight budget but good at DIY? Sign up to Freecycle or Gumtree to find items for free that local people are giving away. You can find really interesting, vintage bits of furniture that (once given a lick of paint and some new handles) can be transformed into a unique, one-off piece for your home. Another benefit to upcycling is that, not only is it cheap and individual, but you can learn new skills and make something that has your stamp on it. If you’re happy with the overall look of your house but it feels like it's lacking a little va-va-voom, you could use your budget to buy a single statement piece to breathe some life into a room. Personalisation is a big trend at the moment in interior design and there are so many options for all price ranges. You can create cushions, personalised with your photos for a tenner or a canvas with your choice of photo or quote for around the same price. Perhaps you have a dull colour on your walls? If you don't have the time, money, or inclination to redecorate, loads of bloggers with Etsy shops sell cheap prints to brighten up your room. Taryna has one of my faves - she sells everything from bright and colourful Disney prints to stunning Harry Potter watercolours. For something at the higher end of the budget, you could invest in a Hollywood mirror with lights, like the ones at Pebble Grey*. These will make you feel like a real celeb, as well as providing the perfect lighting for makeup application. An easy way to create a luxurious look in your home is to mix up the textures you use in a room. Once you have a colour scheme or a running theme through, you can start thinking of how to incorporate different textures to add layers and depth. 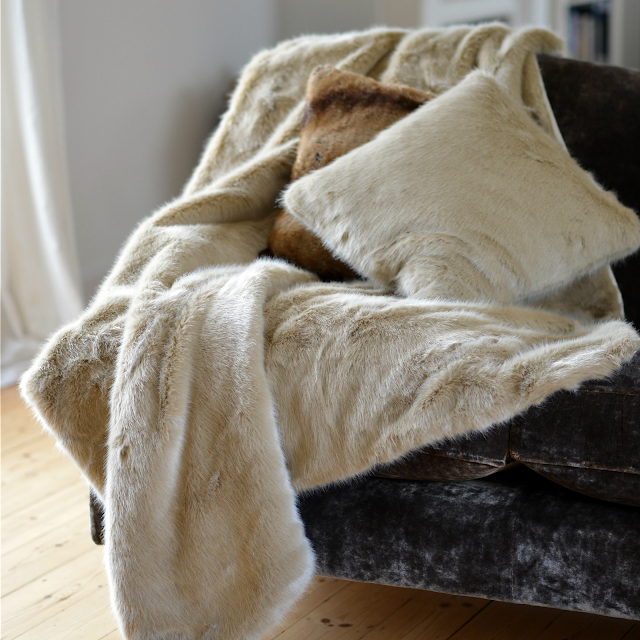 Don’t be afraid to mix wood with soft fabrics, a thick faux fur rug on a hardwood floor and it instantly makes a room feel warmer, more cosy, and very well put together. Fluffy throws can be purchased from Primark for a knock-down price, and you can raid B&M Bargains for real-looking artificial flowers that will never wilt and die! These can be contrasted with metal candle holders, which you can buy inexpensively from H&M! Where are your favourite places to buy homewares? Do you have any budget-friendly stores to recommend? Hit up the comments below and let me know!